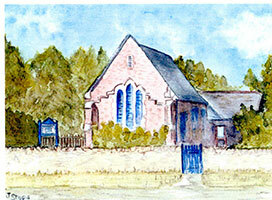 It was founded in 1845 as a Congregational Chapel, a mission church from a neighbouring village. 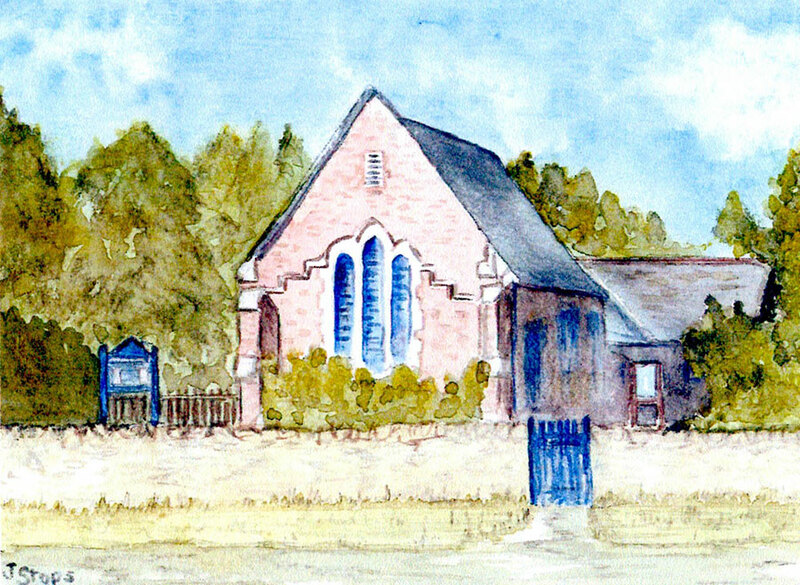 Its beginnings were marked by controversy as some of the local villagers made such a loud protest when worship began at the simple chapel that they were arrested and brought before the magistrate in Abingdon. However the first minister resolved not to bring charges - and over time the villagers grew accustomed to the Nonconformists in their midst. The church has been served over the years by ministers, lay preachers and ministerial students and is still a thriving and prayerful community. What is a URC Church? The chapel at Cumnor and St Columba's - www.saintcolumbas.org are two congregations of the United Reformed Church www.urg.org.uk, a denomination created in 1972 when the Congregational Church in England and the Presbyterian Church of England were united. In 1981, many congregations of the Churches of Christ joined with us, and in 2000 the Congregational Church of Scotland also became part of the URC. Together we have a place both within the Reformed tradition and within the wider ecumenical movement. Our worship is simple, direct and informal and is led by different people from week to week, ministers and lay preachers and our Minister, Rev Helen Garton, who leads the Communion Service on the first Sunday in every month. Members of the congregation read from the Bible and we pray for matters of concern and those in need, remembering our partner URC churches and local ecumenical neighbour churches who are part of the local Churches Together network. Twice a year a topic is picked and members will organise and lead. Our most recent service was themed on Acts of Kindness and included appropriate recollections, poems, Bible readings, prayers and special hymns. Four times a year the members meet for a Church Meeting to discuss and determine the business and worship life of the church congregation. Cumnor URC is known for its warm welcome and friendliness, its hospitality and inclusive way of including the local community in events. The church Sanctuary has been sensitively modernised. The original pulpit facade adorns the wall behind the communion table. The audio-visual equipment has been used to show film clips, paintings and hymn verses. There is also digital hymnal to supplement the usual organ playing.